Ariana Grande dropped a new single on Monday, titled 'Monopoly', which also features Victoria Monét. Monét co-wrote Grande's hit single "7 Rings" and five other songs on the Thank U, Next album. 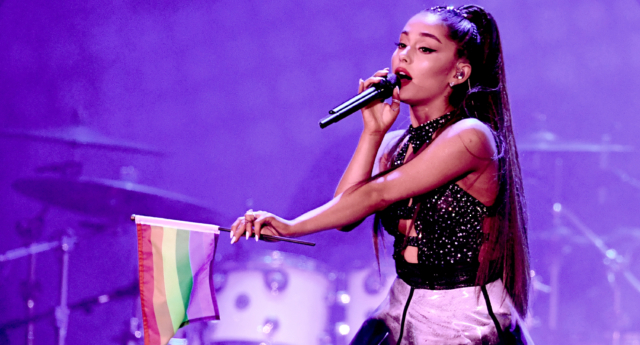 Ariana sings, "I like women and men", convincing some fans she was coming out as bisexual. Since Ariana has now said she doesn't feel the need to label her sexuality, that label (or lack thereof) shouldn't matter to anyone else. The lyric threw Arianators into a frenzy, as many speculated the pop star had come out as bisexual. Or is this more shrouded self-love? One fan tweeted, "GUYS PLEASE IM SO CONFUSED!" She then additionally liked fans' tweets about sexuality being fluid. Ariana Grande actually released a new song today (April 1). She also added: "To friendship, freedom, protecting your energy and staying right in your bag we love you". That was 21-year-old Toronto-born dancer and student, Donté Colley, who makes several appearances in the video doing what he does best - dancing that hate away and bringing the positivity.